ISI Admit Card 2019 will be released on 18th April 2019 through online mode. 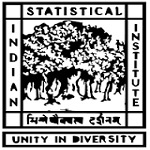 Indian Statistical Institute (ISI) is the authority which organized national level examinations. This exam is called as ISI Entrance Exam. It is conducted for candidates, those who want to seek admission into UG, PG & Ph.D courses in the Institution. These courses are offered in the field of Statistics, Science & Technology. Candidates can check this article to get detailed information about ISI 2019 Admit Card. ISI 2019 Admit Card is releasing on 18th April 2019. Link will be given here. The authority will provide the ISI exam admit card only to the candidates who submit their application form successfully. Candidates will be notified about it from the website or by email. It will be released on 18th April 2019. Candidates can download it by entering their user name and password through candidate login account. Candidates are required to take a print copy of it to bring to the exam center. No candidates will be permitted to enter the examination hall without a valid ISI hall ticket 2019. Candidates will get the ISI entrance exam admit card from 18th April 2019. It will be issued only through online mode from the website. The exam will be organized by the authority on 5th May 2019. It will be conducted through online mode. The result will be declared after a few weeks of the examination. It will be announced in the month of June 2019. Take a print copy of the admit card for further process. Agartala, Ahmedabad, Aizawl, Bangalore, Bhubaneswar, Chandigarh, Chennai, Cochin, Coimbatore, Dehradun, Delhi, Dibrugarh, Dimapur, Durgapur, Guntur, Guwahati, Hyderabad, Indore, Imphal, Jaipur, Jamshedpur, Kanpur, Kharagpur, Kolkata, Malda, Mangalore, Mumbai, Nagpur, Patna, Pune, Raipur, Ranchi, Shillong, Silchar, Siliguri, Surat, Tezpur, Varanasi & Vijayawada. Click here to view the list of Exam Centres. If you have any query about ISI Admit Card 2019, you can ask us by leaving your comments in the comment box. Can I change my test centre preference now (for 2019)? can I get somebdys contact no. How I clear that my paper with test code UGA is odd or even. Sir i couldn’t download my admit card.please help me sir..
Having difficulty appearing hence ..
Sir,i am trying to download my isi 2018 admit card from april 20,2018 but it is always showing ‘the site cant be reached.’.Please help. Regarding this, you can contact to the officials. Go to this link to download ISI admit card. Sir this link is not working. How to download admil card. user name is application number? Admit card download site not opened. My application no 2018001001452. Pl. advise. Sir, I can’t download my admit card. always showing the site can’t be reached. kindly advise. They send it to your registered email id as well, you can get it from there. And do check the spams too. what is the link to download admit card? showing that ISI admit card released but not yet getting link for downloading the Admit Card. Know the actual problem and when I can download it? Is ISI Admit Card 2018 available? Though downloading of admit card date is 11.04.2018, admit card is not yet received in my mail inbox till the time of posting this comment. Kindly update me with the latest status. admit cards are not released.when u will release the admit cards. ISI has not released the admit card yet. When they will release it? At the same date there is BHU exam. Is there any probability to change the exam date?